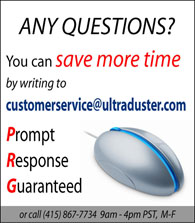 ULTRA DUSTER will safely blast away any dust, dirt, and unwanted micro-articles from computers, keyboards, printers, and other electronics equipments, without leaving any residue. It effectively cleans by reaching those hard to clean areas and therefore helps maintain premium levels for electronic devices. 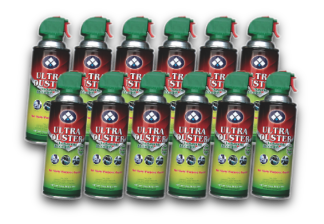 ULTRA DUSTER is earth-friendly and contains no CFCs (Freon). 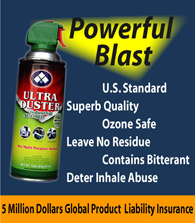 ULTRA DUSTER contains a bitterant additive that discourages potential abusive and misusage of the product by making its contents unpleasant to inhale. Please visit www.awdus.com for more usage. © 2010 Ultra Duster Store. All Rights Reserved.